Talking about creeps has landed BART in some hot water. 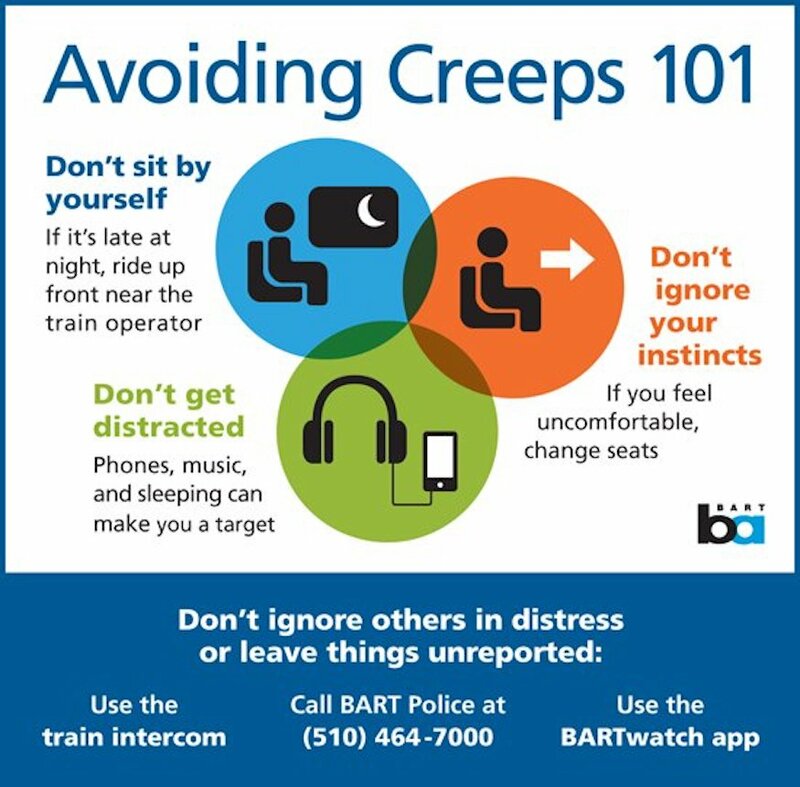 In a tweet earlier this week, BART’s new PSA poster references a song by Radiohead’s Thom Yorke while advising riders on how to avoid creeps. Later, BART tweeted another PSA on how not to be a creep. But does saying “don’t be a creep” ever convince creeps to cease and desist? As a transit rider and occasional target, I think it’s sad we have to remind others to keep their hands to themselves. May we suggest some additions like don’t light someone’s hair on fire and definitely don’t try to hump your fellow passengers, otherwise you might want to watch out for tasers?